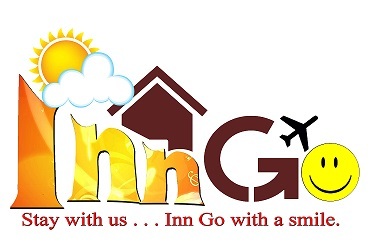 WHAT IS INN GO TOURIST INN? Inn Go Tourist Inn is the right choice for a visitors who are searching for a combination of peace and quiet area to relax and a convenient location from which to explore the El Nido town. It is also a comfortable and affordable hotel located at Calle Hama, Barangay Masagana, El Nido Palawan, Philippines. The Inn Go Management and their staff offer an attentive services and always available to offer any help to guests. The hotel has two (2) buildings that composed of twenty five (25) rooms. The one (1) buildings is made of light materials with a balcony in each room that facing Mountain View. The two (2) rooms are ideal for a group of friends or family that at least 4 persons, and the other rooms are good for two (2) or a couple. The other building is a triangular design and arrange of three (3) floors. The rooms are arranged on the first, second and third floors. On the ground floor, apart from the receptionist, there is a comfortable lounge where you can sit and drink tea or coffee, or just read while enjoying the partial view of El Nido bay and the beautiful rock formation of Cadlao Island. On the second and third floor, there is also a delightful canopy available for the use of guests, from where you can also enjoy the wonderful view of Cadlao Island. The hotel also provide limited WIFI services that is only available at a lobby.